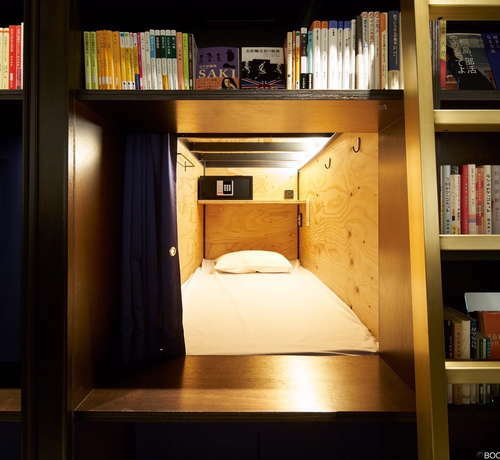 Upon arrival on the 6th floor of a highrise in Asakusa, guests are prompted to enter through a secret locker door in order to arrive at Book and Bed. Once inside, you realize how apt the name truly is. 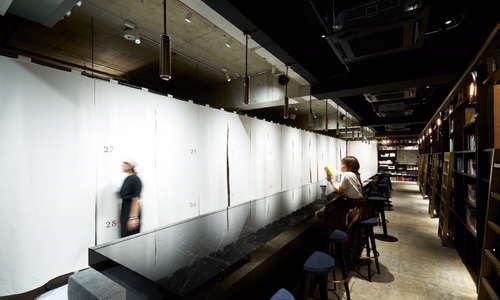 One singular rectangular corrider is flanked on one side by endless rows of books and curtained off beds and another side with beds only. 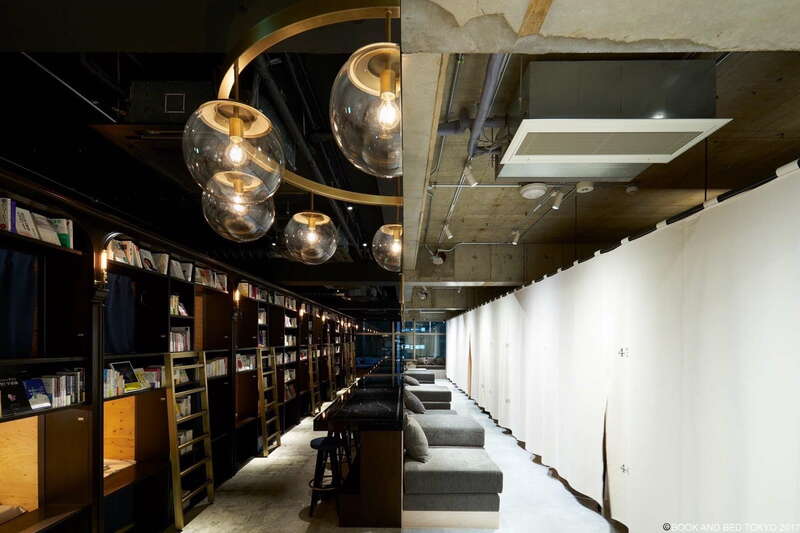 Down the middle are an array of comfy couches designed to give guests more places to read. The concept is simple – it’s all in the name. You have three choices of beds here: compact, standard, or double. All beds come with reading lamps, a curtain (for limited privacy), hangers for your clothes, slippers, a small safe, and outlets to charge your phone. If you want to sleep with your significant other or a friend, you need to book a double. 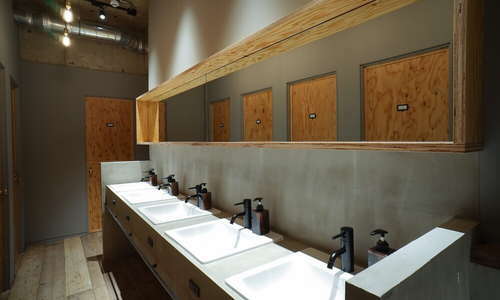 All bathroom facilities are communal with separate areas for toilets and showers. 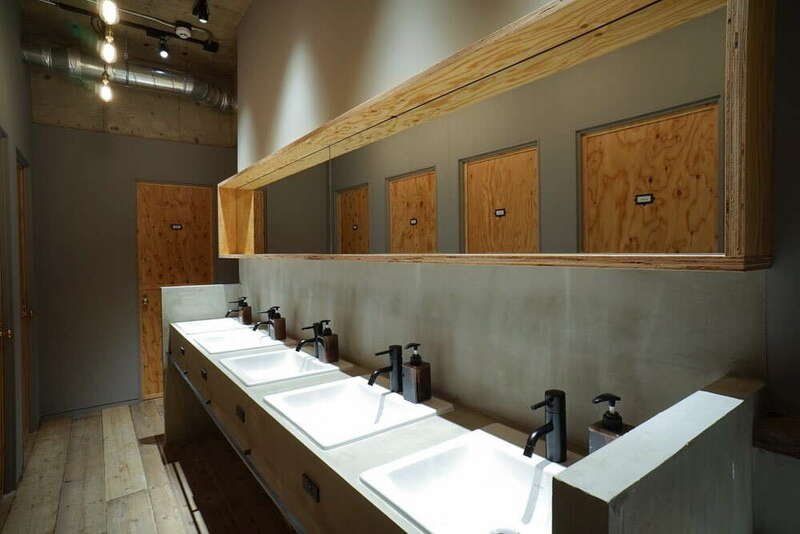 If you want privacy, this isn’t the hostel for you. YOU SHOULD KNOW If you want to use one of their hair dryers, you need to use it between 7 a.m. and midnight. 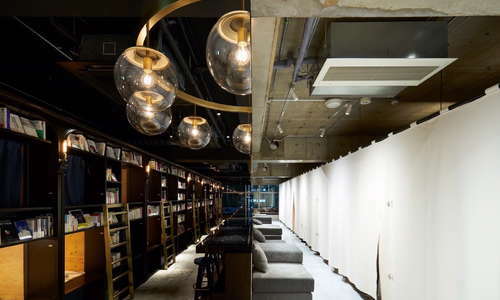 There’s no lobby, but down the center of the elongated space are cushy nooks for curling up and reading. At the front of the hostel is a small booth that serves coffee and bagels to guests. You’ll want to head out into Asakusa for meals. 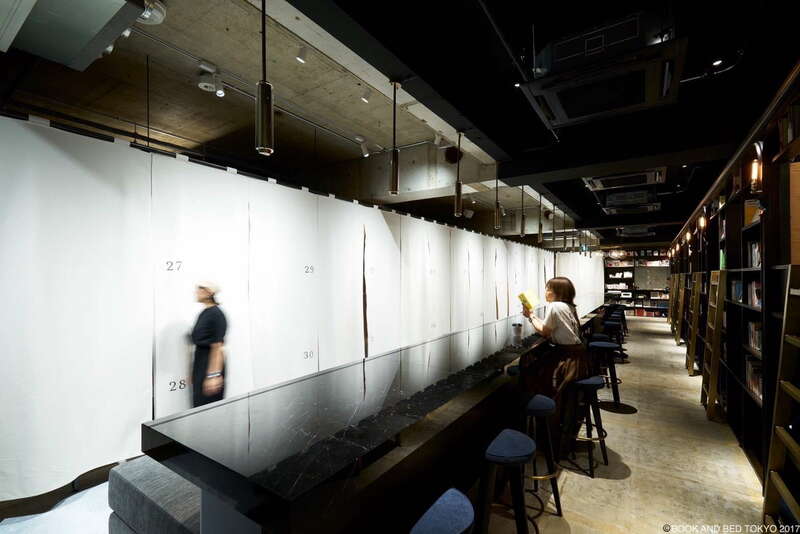 At the same small booth in front, guests will find a variety of liquor options and an all-too-happy receptionist willing to make mixed drinks. Asakusa is known as an area that harkens back to the Edo era. Here you can see shops and temples just as they were a couple hundred years ago. With that said, the area is immensely walkable and the hostel is close by all major sites and attractions. The subway is also within a five-minute walk so it’s easy to get to other parts of town. You’ll find street food all over Asakusa, but if you want something more substantial, check out Nakasei (3-minute walk), a tempura restaurant that’s been open for more than 100 years. If you’re a whiskey fan, you should check out Samboa (2-minute walk), which has also been around for more than 100 years and is known to be one of the best whiskey spots in the city. What’s not to like! Well, unless you want privacy and your own bathroom. This little hostel is all in the name. It has books, it has beds, and not much else. But budget-conscious backpackers will love its low-key attitude and equally low key clientele. 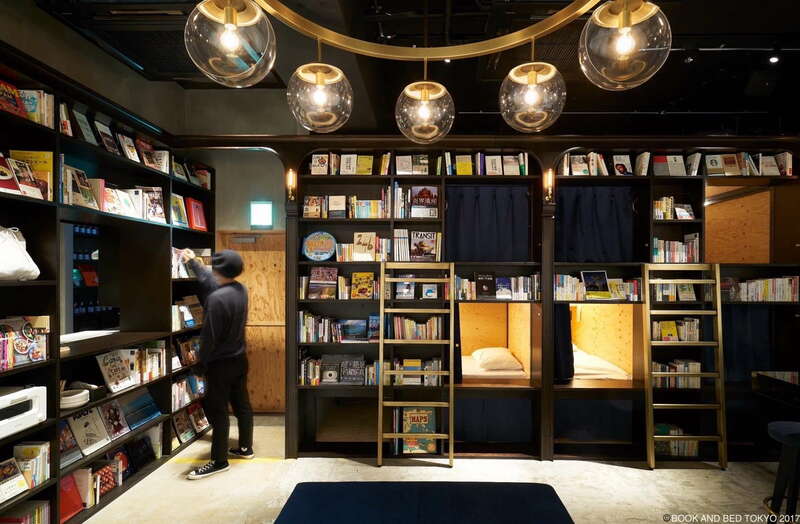 If you’re a bookworm and want to meet like-minded literary types, than check out Book and Bed for the chillest hostel experience in Tokyo.